In a new twist to the 2003 film Daddy Day Care, Grand-Daddy Day Care brings in a whole new element – senior citizens. Reno Wilson stars as Frank Collins, a struggling writer with writer’s block. He is restless and uncomfortable not being able to write his next novel. When his father-in-law Eduardo (Danny Trejo) moves in with the family, his tension rises. They are about to lose their house, they have unpaid bills, and the family is on the brink of bankruptcy. After Eduardo and his friends spend a fun day together, Frank has a brilliant idea. He learns that people will spend money to have their elders cared for during the day so he starts his own day care center for seniors. With the money from this center his family will be financially in the black. Veteran actors play some of the attendees at this new day care: Barry Bostwick, James Hong, Julia Duffy, George Wendt, Linda Gray, and Margaret Avery. This is an eclectic group of characters who all find their lives are enriched by spending their days at Frank’s house. But without a proper license, Frank is about to be shut down. The film is a mix of slapstick, sentimentality, and, of course, seniors and their antics. It’s nice to see Frank go from a man struggling with his life to a man who finds a reason to keep going and to make a difference in the lives of others. There are some adorable scenes and several laugh-out-loud moments. Viewers will be able to relate to several characters and feel compassion for the seniors who are still viable but to their own families are a bit of a nuisance. We send our children to day care, so why not our seniors? 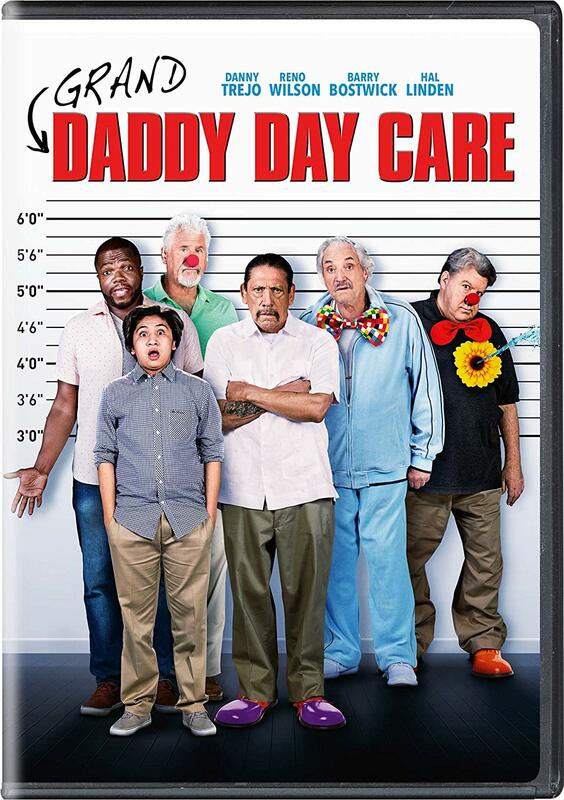 Grand-Daddy Day Care is rated PG-13 for some drug material (this scene is hysterical).